Streaks of light reached the bottom of the lush valley. The sun hid behind a veil of clouds, only to make fleeting appearances as it sunk closer to the horizon. 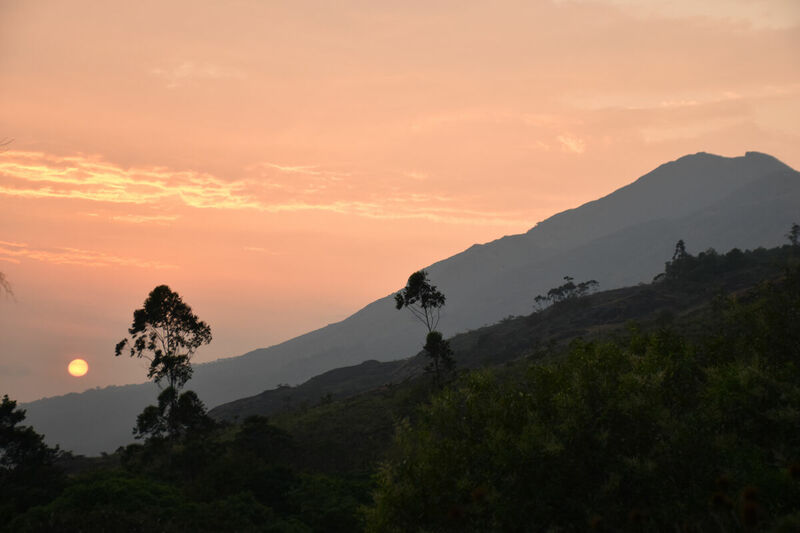 We were in Munnar, far from the bustling India that we’d been passing through in the days before (read about it here). There, on the High Ranges of Kerala, relaxation came naturally. 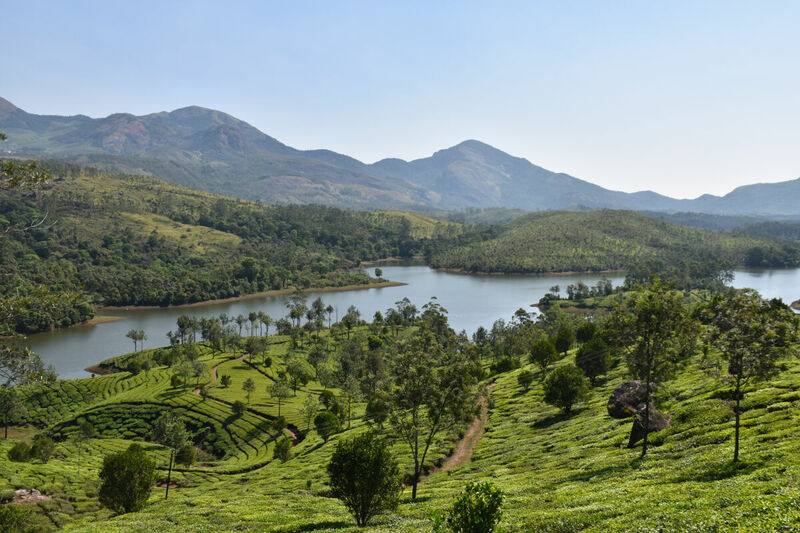 Munnar, situated in the cooler climes of Kerala, owing to its altitude on the Western Ghats (a range that runs almost the full length of India), has long been a popular hill station town. 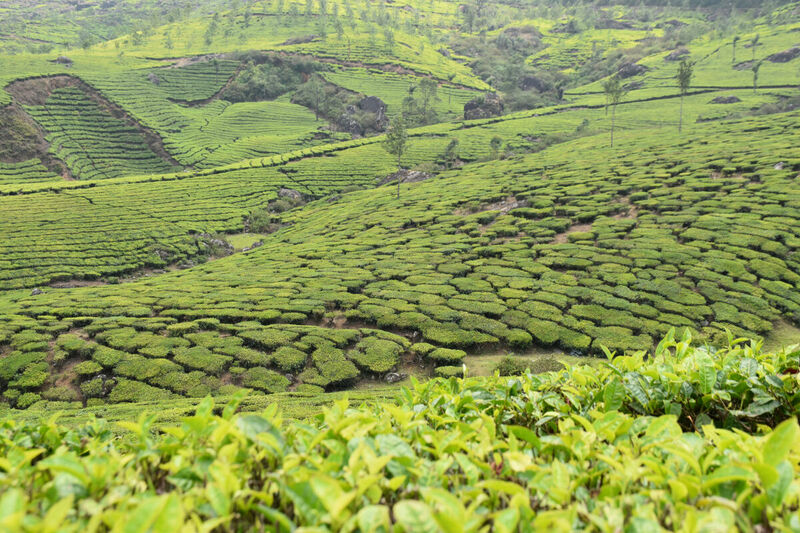 Originally home to indigenous Muduvan people, the British brought in labourers from the neighbouring Tamil Nadu state to work in their tea plantations. Today, lush green tea plants carpet the hillsides, creating picturesque scenes. We stayed at Spice Tree Resort, where tea tasting sessions are held each afternoon, together with an offering of teatime eats. White, green and black teas (all produced from the camelia sinensis plant, but differentiated through the oxidation and drying processes) are complimented with rose, jasmin and spices. The tea of Munnar and surrounding Keralan areas are the common tea variety, unlike the subtle Darjeeling tea, which only grows in that Himalayan region (read about my visit to Darjeeling from a year ago here). The demand for the popular drink has seen vast fields of tea being planted in the hillsides between Munnar and Periyar (my next stop). The town of Munnar itself has grown to support the tea industry and has a lively, but small market. 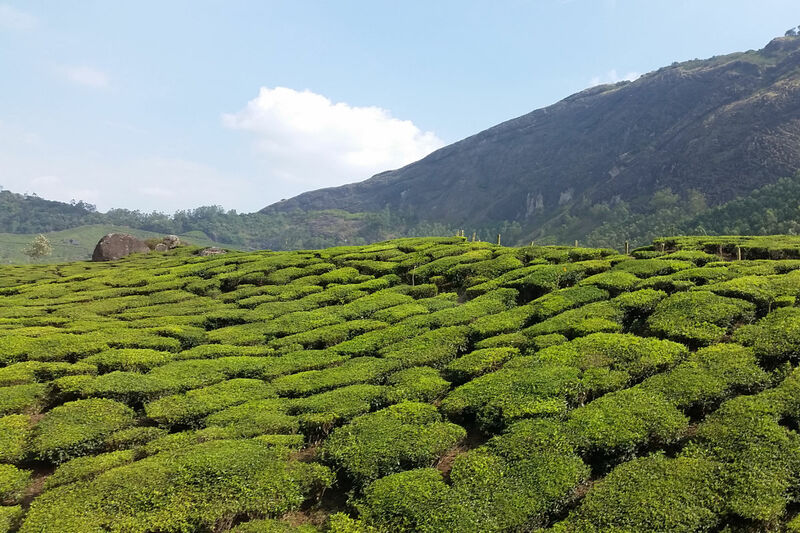 While tea is central to Munnar, it is not the only past time. On one of our walks through plantations, we came to a panoramic view of Bison Valley. 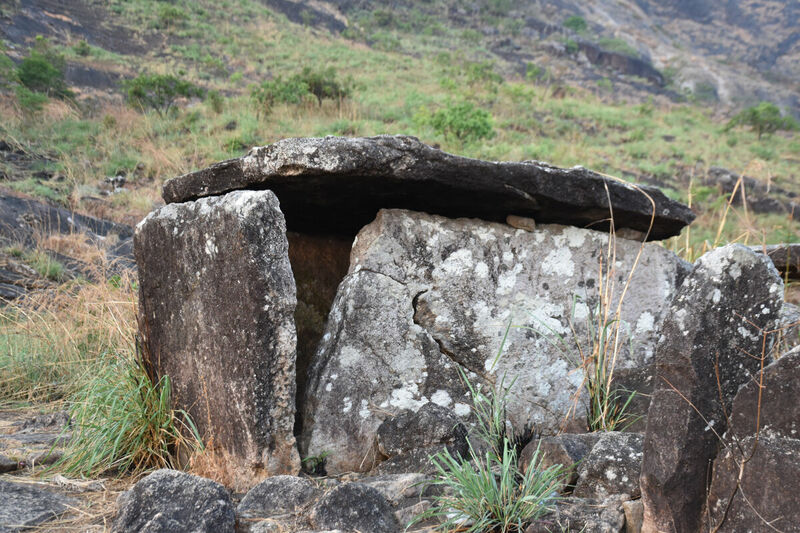 On the way there, we came across large dolmens (ancient Neolithic tombs, dating at least 3000 BC). 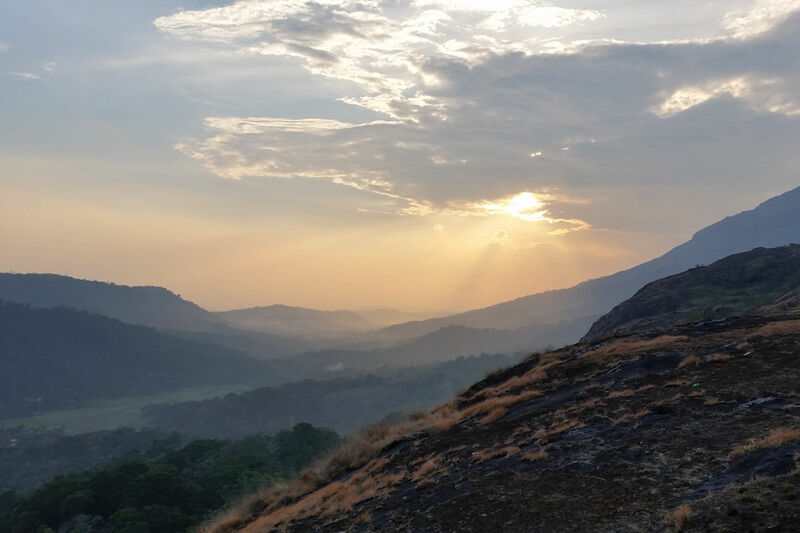 The hills and forests around Munnar are lovely for a trek, or to just simply relax and take in the views.